Now’s your chance to air your views….From the BBC… Has a family member or a friend of yours experienced end-of-life care in the UK? Let us know about their experiences. Email haveyoursay@bbc.co.uk. The study of 80 countries said thanks to the NHS and hospice movement the care provided was “second to none”. Rich nations tended to perform the best – with Australia and New Zealand ranked second and third respectively. But the report by the Economist Intelligence Unit praised progress made in some of the poorest countries. For example. Mongolia – ranked 28th – has invested in hospice facilities, while Uganda – 35th – has managed to improve access to pain control through a public-private partnership. The rankings were worked out following assessments for the quality of the hospitals and hospice environments, staffing numbers and skills, affordability of care and quality of care. Just 34 out of 80 countries provided what could be classed as good end-of-life care – and these accounted for just 15% of the adult population. 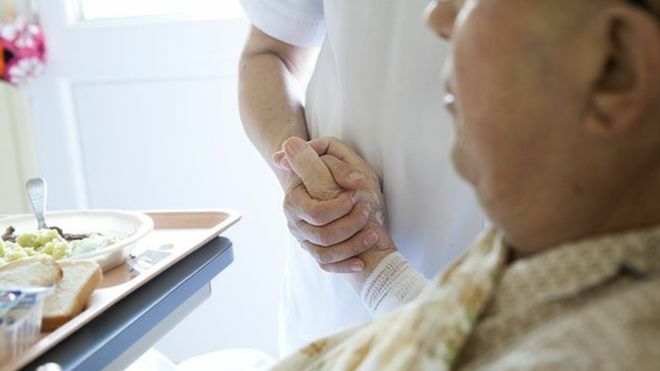 The report said the quality of end-of-life care was becoming increasingly important with the ageing population, meaning people were increasingly facing “drawn-out” deaths. The UK received top marks for affordability – as would be expected for a service that is provided free at the point of need – but also got a perfect score for quality of care.